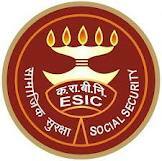 Applications are invited from eligible candidates for filling up the post of Upper Division Clerk(UDC) and Multi Tasking Staff(MTS) in the Offices of ESI Corporation, West Bengal Region. i) As the reservation for PH & Ex-Servicemen candidates is on horizontal basis, the selected candidates will be placed in the appropriate category to which the candidate belongs. hand activities of the person should be adequate.